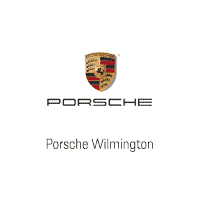 Come into the service center at Porsche Wilmington in Wilmington, North Carolina, to help keep your luxury car or SUV running as it should. Our team is specifically certified to work with Porsche vehicles, so you can trust you’re in good hands. From oil changes and tire rotations to cosmetic maintenance and collision repairs, we do it all so you can get back on the road. Our highly trained technicians only use OEM parts, and our service department has plenty of bays. This means we’ll not only get the job done right, but it will be done quickly as well. While you wait, our lounge provides gourmet coffee and snacks, as well as courtesy Wi-Fi. Should you need major repairs, we offer a shuttle service and loaner vehicles. Your car will always come out looking great because we provide a complimentary car wash with each service. Whether you need basic maintenance or special repairs, schedule a service appointment today. Make sure to look at our Porsche service specials before stopping by.